Our philosophy and goal of Natural Horsemanship training is guided by four principles. They are to preserve the sensitivity, curiosity, confidence and dignity of the horse through the best practices of Natural Horsemanship. This is achieved through psychology, body language and gestures, which is the way horses communicate with each other. It is done this way rather than resorting to pain, intimidation, restraints, and gimmicky tools and equipment used in the traditional training of horses. 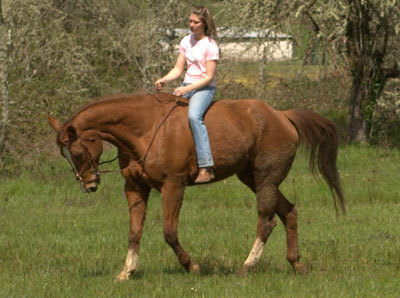 Our own horses for sale, as well as our clients, go through extensive ground training. They learn to move forward, backward, sidepass, turn on forequarter and hindquarter, pickup feet, ground tie, accept rubbing down with plastic, walk over tarp, trailer load, bathe and clip, and accept wormers and shots before they are ever ridden. After completing ground training horses are more safe, respectful, smart, soft, brave, confident, and ready for the riding part of the program. 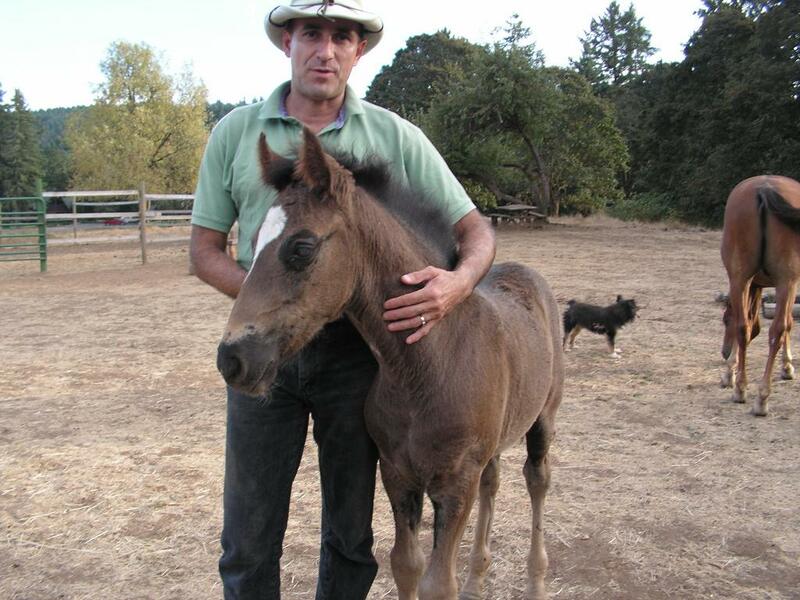 Our horses are imprinted at birth and go through early development training (give to pressure, follow a feel etc.) until 6 months old. By then the communication games have already began and the end result is a horse with no vices or behavioral problems and a friend for life. They are bonded to humans, very respectful, and willing to learn. 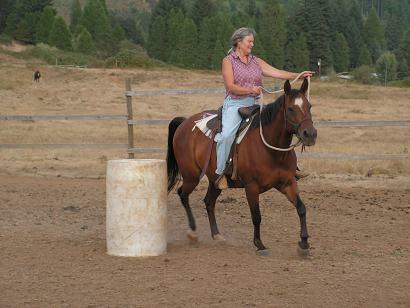 Beginner level students learn to ride with one rein and, later, using a looped rein and halter to perform many tasks that traditionally required bits and spurs. 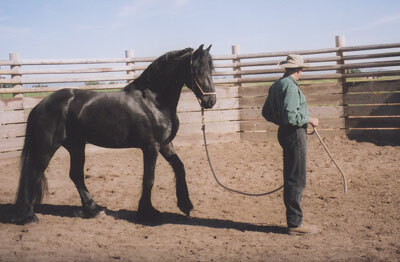 Christefanie Natural Horsemanship (CNH) training is useful for all breeds of horses, with various temperaments, spirits and ages. Horses with issues will greatly benefit from this training. Owners are encouraged to learn this form of communication while their horse is in training.